On Thursday, March 17, 2016, Kiosk was privileged to host Florida artist Lori Pratico and photographer Elizabeth Sanjuan’s Girl Noticed project in Novato to create the 12th mural in their series. 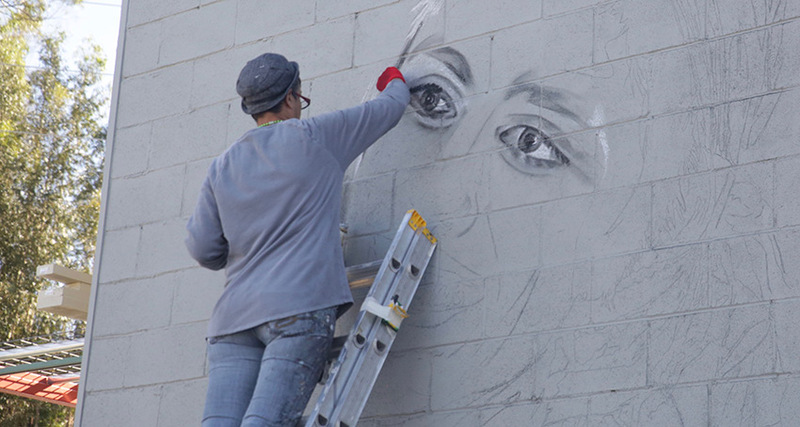 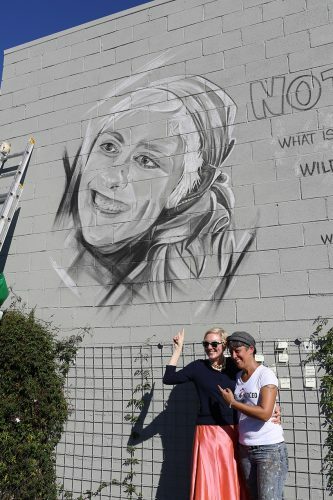 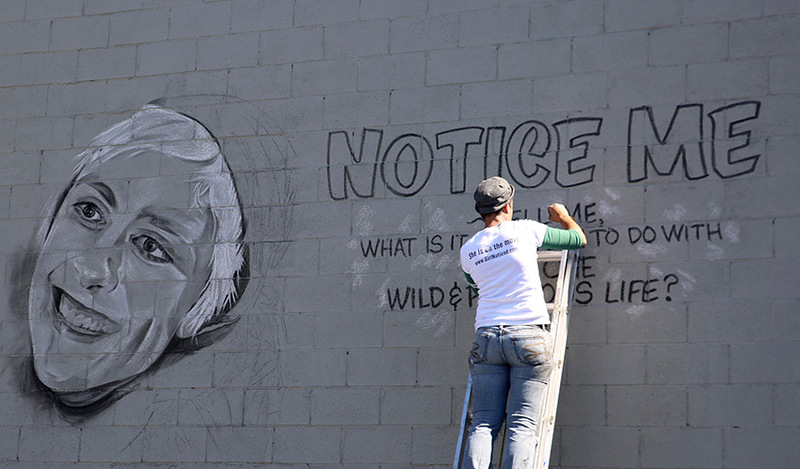 The artists are traveling to the 50 states to produce a series of large format public murals and interactive art exhibits, each depicting a female that has been nominated from their community to be noticed. 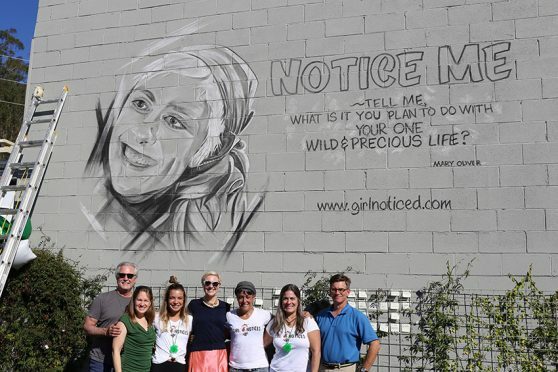 The mural in Novato, in the Kiosk parking lot on a wall owned by our neighbor Old Town Glass, depicts Laura Holmes Haddad, a Stage IV inflammatory breast cancer survivor who is actively assisting other cancer patients navigate their cancer journey, from patient to survivor.